JAMES A. JUTRY, a Shareholder in the Tucson office, practices in the areas of local, state and federal taxation, business and transactional planning, corporations, partnerships, limited liability companies, estate planning, probate and charitable organizations. He is also a Certified Public Accountant (CPA). Mr. Jutry assists clients with benefit and compensation planning including designing and implementing “cafeteria” or flexible benefit plans under Internal Revenue Code §125 and other non-taxable benefits. He advises organizations on obtaining and maintaining tax-exempt status under Internal Revenue Code § 501(c), including addressing such issues as improper inurement, permitted lobbying expenditures, prohibited political activity and acquisition and disposition of charitable donations. Mr. Jutry represents taxpayers in disputes with the audit and collection divisions of the Internal Revenue Service and the Arizona Department of Revenue and in sales and use tax controversies with the Arizona Department of Revenue and local taxing authorities. Mr. Jutry also assists clients with issues related to the United States Department of Treasury’s Report of Foreign Bank and Financial Accounts (FBAR) requirements. Mr. Jutry received undergraduate and Master’s degrees in Accounting from the University of Arizona. Prior to attending law school, he was on the staff of the Arizona Auditor General. He graduated with distinction from the University of Arizona College of Law in 1980 and thereafter attended the University of Florida where he earned a Master of Laws in Taxation in 1981. 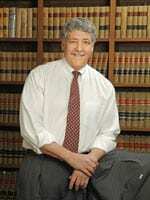 He is a member of the State Bars of Arizona and Florida and is admitted to practice before the United States Tax Court.